"Eto na! Musikal nAPO!" Extends through April! Due to popular demand, 9 Works Theatrical’s “Eto na! Musikal nAPO!,” the jukebox musical based on the music of the APO Hiking Society, is adding more performance dates to its run. 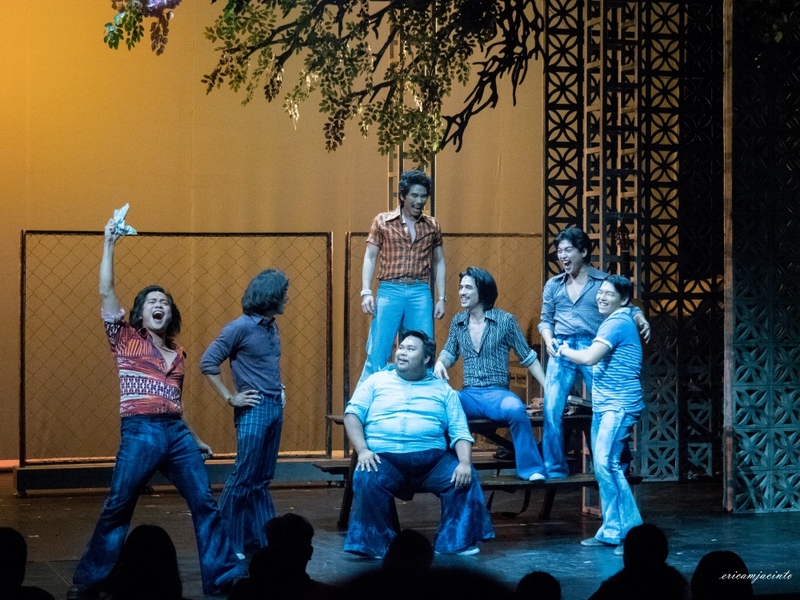 Initially running from August 3 to September 2 last year, the production had a rerun from February 2 to March 17 this year at the Maybank Performing Arts Theater. It has now been extended until April 7. Set in a university in the 1970s, the musical tells the story of a college barkada who tries to win a songwriting competition. The story follows them through the intricacies of youth and romance during the Martial Law regime. Cast members include Mark Bautista, Floyd Tena, Jobim Javier, Alfritz Blanche, Jon Philippe Go, Jef Flores, Jon Abella, Vyen Villanueva, Rita Daniela, Mica Javier, Sab Jose, Marika Sasaki, Roxanne Barcelo, Raul Victor Montesa, Neomi Gonzales, Gian Gloria, Shalee Vicencio, Peachy Atilano-Guevara, Anton Posadas, Vien King, Jourdan Bartolome, Luis Marcelo, and Derrick Gozos. The book is written by director Robbie Guevara, with music and lyrics by Danny Javier, Jim Paredes, and Boboy Garovillo. You can buy tickets to the extension HERE. Next Lea Salonga, Eva Noblezada Star in Movie Musical "Yellow Rose"